: from my aunt Olof, who was a fan of his. I born in 1968, so was a kid when Elvis died. I don't know that my parents would have got it for me if they'd known what was to come! because it showed what could have been, it was his best acting. I went with my Aunt Olof — and she said All my life I wanted to see this place and now I'm here and blind. I snuck her hands over the rops every chance I got for her to touch things and described everything in detail for her. and sad to be in other Memphis places — it felt like everyone was trying to make money off of Elvis, but without any love or respect for him or his fans. and also, I didn't like how people thought it was so great of me to bring my blind aunt — suggesting that they wouldn't. and I told them, actually, she won the contest and brought me. Thank you for your comments and suggestions on our survey. Elvis looked fantastic in everything he was absolutely gorgeous in any costume. Everything about Elvis was just perfect he was an amazing man. Elvis Presley`s memory and music will always be treasured he touched so many through his music, personality and warm sincere nature. 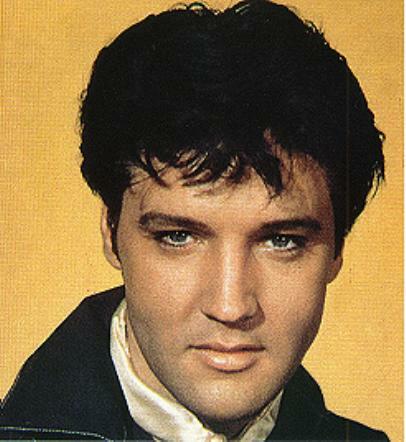 Elvis Presley`s music is timeless and that`s why he is and will always be the KING. Thank you for sharing you visit to Graceland, how wonderful to go along with your aunt helping her to feel the wonderful experience and im sure a heart felt memory that your aunt will treasure. I really have to agree with you nina, there are so many great songs its so hard to just mention one favorite. Take Care Nina, say hi to your Aunt Olof from Theresea & Elvis Presley Forever.